Each show has Sponsors and backers. Some Sponsors cover everything JL Media Today does. Sam Ash Music Corp. was founded in 1924, and is the largest family-owned chain of musical instrument stores in the United States. 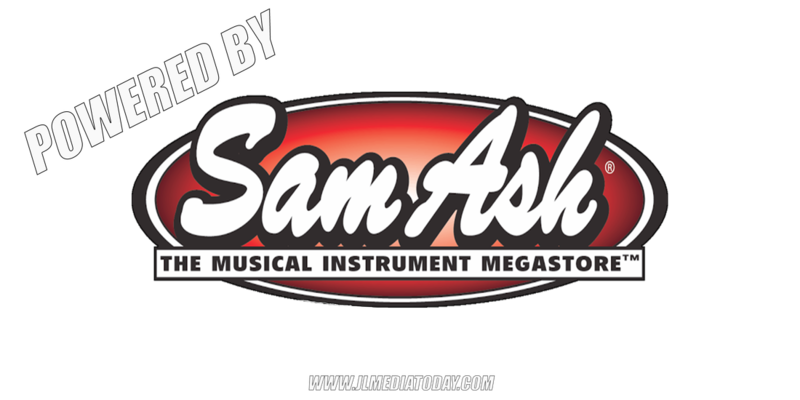 Sam Ash sells musical instruments, recording equipment, DJ and lighting equipment, and professional sound equipment. The parent company, Sam Ash Music Corporation, also owns several major long-standing brands in the music industry, including Groove Percussion (drums and percussion), the Brownsville NY (guitars and amps), Carlo Robelli (stringed instruments, guitars, and accordions), and Jean Baptiste (brass and woodwinds). Some of Sam Ash's products, such as the Sam Ash Fuzz Boxxx and Sam Ash Guitar Amps, have become collector's items. Their flagship store has been located at 333 West 34th Street in Manhattan since 2013, with 30,000 feet of retail space. Previously, Sam Ash had a major presence with multiple storefronts on 48th St. in Manhattan.